As a tattoo on skin tells a story of lineage, so the geographical forms and excavated layers within the painting uncover the riverbed of history and memories within the land. 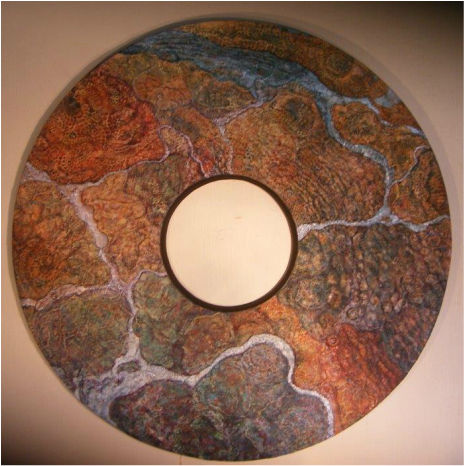 This multi-textured work is a glowing desert land tapestry. ﻿Like many of the disc paintings, this work explores the nexus between landscape and abstraction. It conveys a range of vistas within one vision. ﻿This work evokes the relief of water arriving in a dry land. 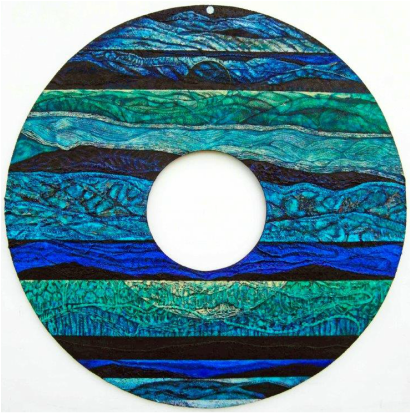 ﻿﻿This was the first disc to be created - and photographed prior to the decision to cut out the centre! It was shown at the NZ Affordable Art Show, in Wellington. 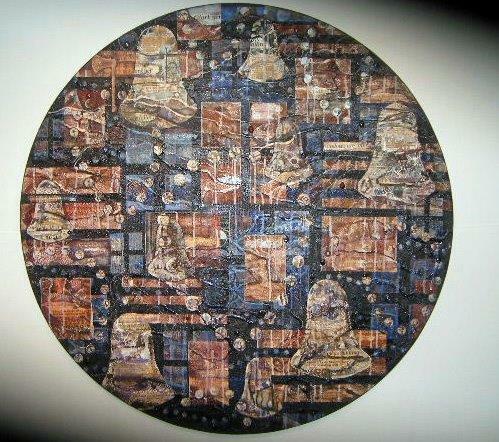 This symmetrical work is a departure from the landscape elements of the other discs. The starburst format of this work creates a sense of expansion. ﻿﻿﻿This painting was inspired by the Syd Barrett song. 'Dark Globe'. ﻿This painting was inspired by the Bob Dylan Song, 'Not Dark Yet'.